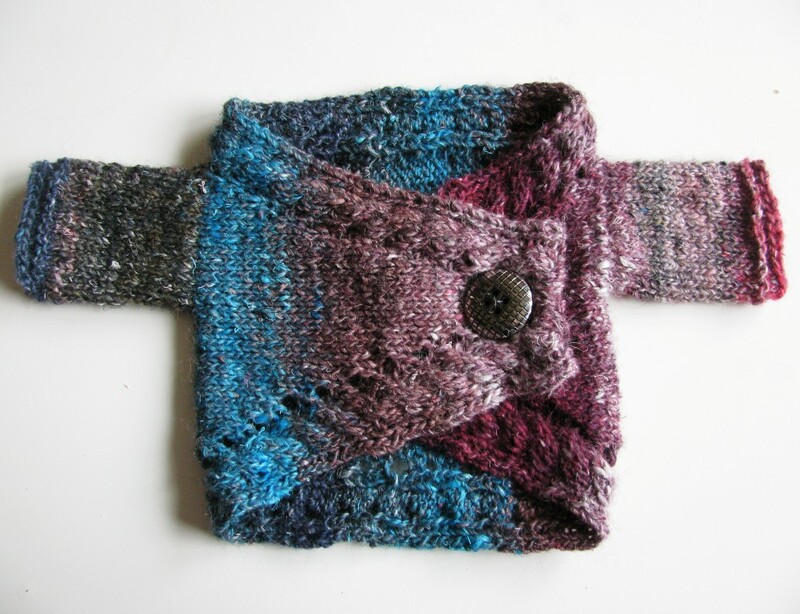 This lovely baby piece is as easy knit from side to side, and looks great both with and without sleeves! A perfect project for the cable beginner! Yardage – 2/2/2/3/3/3 skeins Noro Silk Garden or about 140/160/180/220/260/300 m of heavy DK or worsted weight yarn. Thank you Violinka, for sharing your lovely photos! How do we access the larger sizes? Is it merely the change in needle size that matters or are there other PDFs? I am not seeing where the actual pattern/PDF is???? hi! this is so cute thanks for the pattern! this is my first time knitting something other than hats, its going well but I have a question about the arm hole, do I take the scrap yarn out after I have re-knit those stitches? should I see a hole? 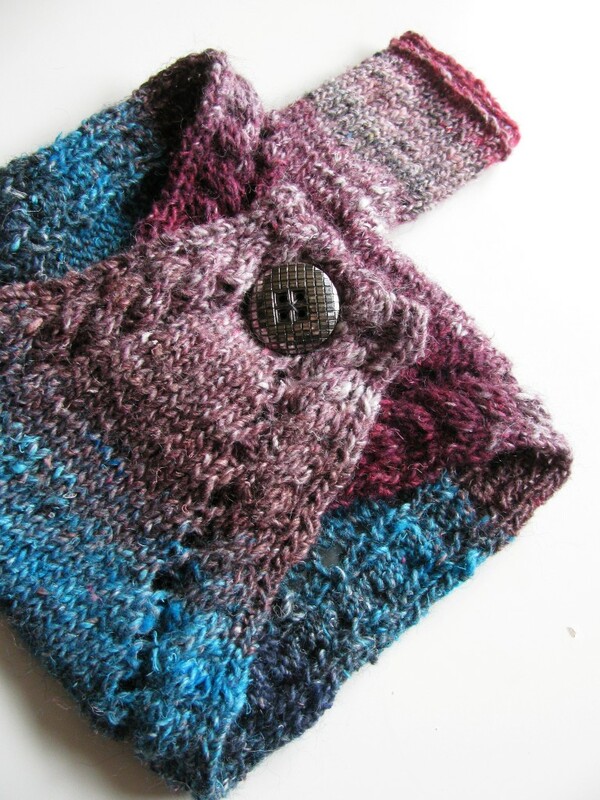 You leave the scrap yarn in until you’re ready to knit the sleeves. There won’t be a hole in the fabric. Then you remove the scrap yarn stitch by stitch, placing the live sts back on your needles. You’ll get 2 live sts for each scrap stitch you remove, one on each side. I hope this helps! thank you so much!!! that makes perfect sense! Thank you the bolero looks beautiful! I Would you be willing to send me the pattern? Thanks in advance ! Not only would I like to make the bolero, but I would like to use the pattern and adjust it to make a head band that has a similar closure. The pattern is available using the links above! 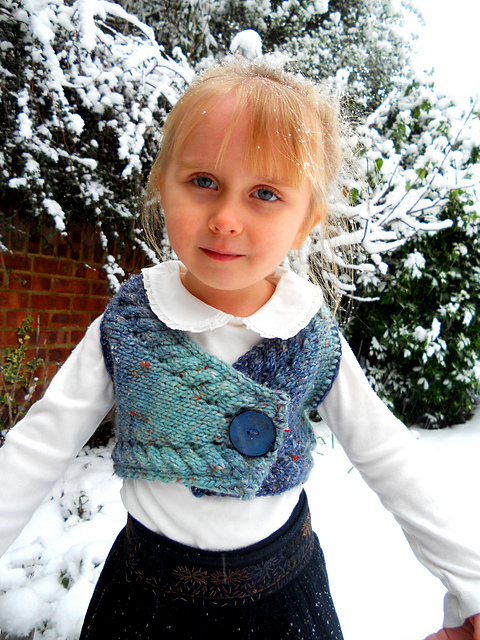 I can not seem to download this free pattern Baby Bolero by Yarn Madness. Can you help? Hi! I just tried the links above, and they work fine. Let me know if there’s still a problem! Yep; Says the links aren’t valid PDFs. Just checked again, and the links work just fine. Try using a different web browser! The whole pattern is not showing up to print, it’s only showing the first page. I would love to make this. Hi! If you click on the language link up top you find the whole pattern 🙂 Glad you like it!